A prominent Chinese businesswoman dubbed the “Ivory Queen” was sentenced to 15 years in prison by a Tanzanian court on Tuesday for smuggling the tusks of more than 350 elephants, weighing nearly 2 tonnes, to Asia. 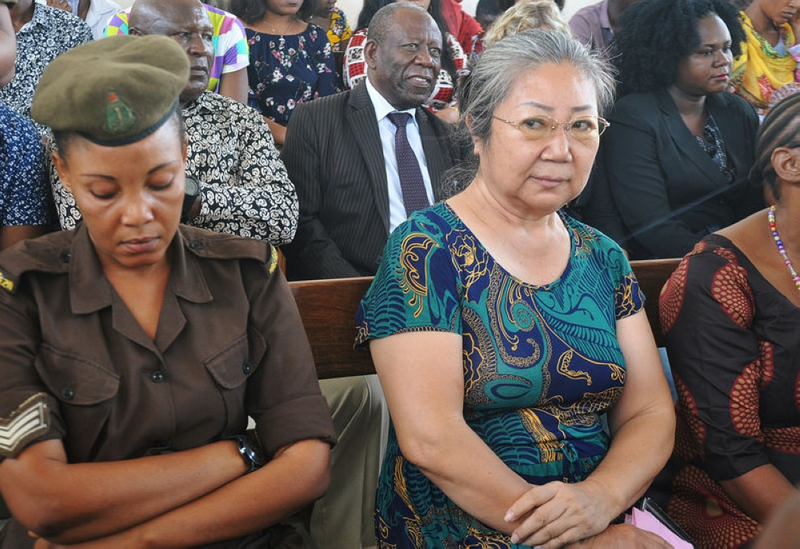 Tanzania has charged a Chinese businesswoman for leading the country’s most notorious ivory poaching ring. Yang Fenglan was sentenced to 15 years in prison for smuggling the tusks of more than 350 elephants worth millions of dollars over several years to Asia. Two Tanzanian men were also found guilty of involvement in the ring. The verdict ended years of prosecution and dealt a major blow against elephant poaching and ivory smuggling operations in the country, especially given the high profile of the defendant. 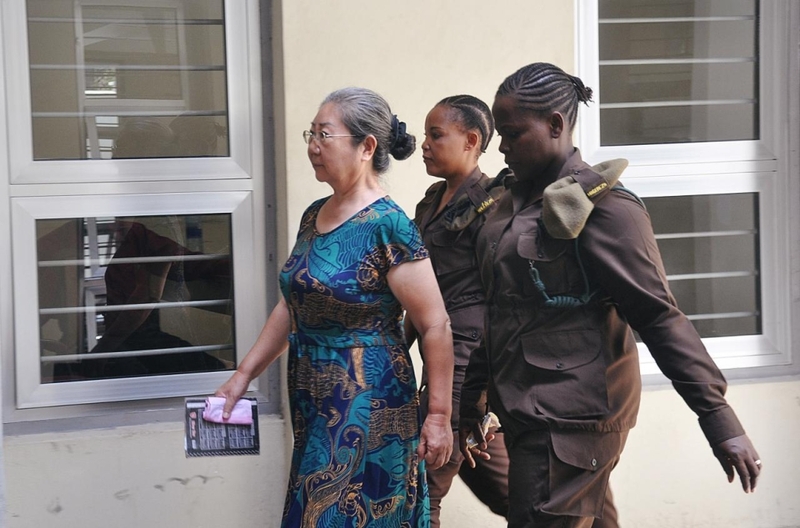 Yang’s prosecution began in 2015 after authorities arrested her following a speedy car race in the capital Dar es Salaam. She was apprehended along with two Tanzanian men with smuggling 860 pieces of ivory between 2000 and 2004 worth 13 billion shillings ($5.6 million). All three denied the charges. Kisutu Court Magistrate Huruma Shaidi sentenced Yang, Salivius Matembo and Manase Philemon, each to 15 years after they were convicted of leading organized criminal syndicates. Yang Feng Glan she is 69-year-old has been living in Tanzania since the 1970s, managing her own restaurant, exporting pepper, and working as a translator given her proficiency in Swahili. She also served in key positions in the China-Africa Business Council of Tanzania and helped Chinese businesses set up across the East African nation. Conservationists had welcomed her arrest saying it would “send shockwaves” through organized criminal networks. Shaidi ordered them to either pay twice the market value of the elephant tusks or face another two years in prison. In court documents, prosecutors said Yang “intentionally did organize, manage and finance a criminal racket by collecting, transporting or exporting and selling government trophies” weighing a total of 1.889 tonnes. 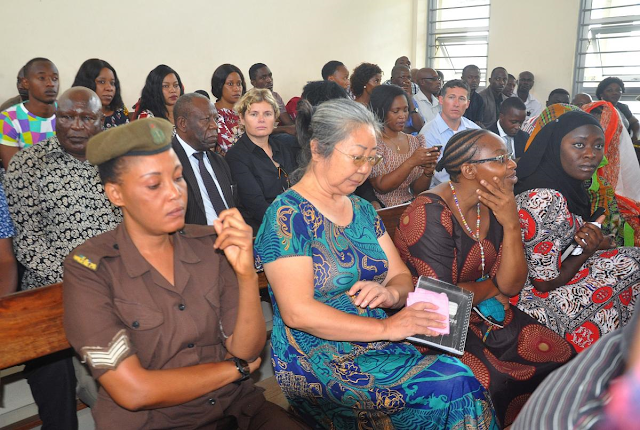 Chinese businesswoman Yang Feng Glan sits next to the officer inside the Kisutu Resident Magistrate's Court in Dar es Salaam, Tanzania on 19 February 2019. Photo: Emmanuel Herman. Speaking in Beijing, Chinese Foreign Ministry spokesman Geng Shuang said China had firm laws on protecting endangered wildlife and went after those who broke the law. “We do not shield the illegal activities of Chinese citizens, and support the relevant Tanzanian authority’s just investigation of and trying of this case in accordance with the law,” he told a daily news briefing. African elephant population declined to 415,000 in 2016, a drop of 111,000 in just a decade, according to the International Union for Conservation of Nature. The World Wide Fund for Nature also says Tanzania lost 60% of its elephants in just five years, with numbers crashing from 109,000 in 2009 to just 43,000 in 2014. China has long been one of the world’s biggest consumers of ivory, where they are used in medicine or in ornaments and jewelry. But even though Beijing instituted a ban in late Dec. 2017 on all ivory and ivory products, that hasn’t stopped increased amounts of African ivory from being traded in or be smuggled into China. African officials, facing increased pressure from wildlife advocates, have increasingly turned their attention to poaching, even urging the European Union to end its thriving legal ivory market. Yang was escorted under tight security to the Ukonga prison in Dar es Salaam where she is expected to serve her jail time.